Douglas County PUD offers Internet service to approximately 31,767 people in 5 cities over 1 states. 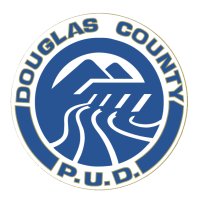 Douglas County PUD is available in 1 state. Douglas Fast Net provides Fiber, DSL, Copper and Fixed Wireless services. DMCI Broadband(517) 797-3710Excellence in internet technology. DMCI Broadband provides Fixed Wireless services. Directlink provides Fixed Wireless services.